Our Bike Donation Campaign ended on July 30th, and thanks to our donors, we collected a grand total of 313 bicycles in one month! This was our very first Bike Donation Campaign at the shop, and we came so close to meeting our goal of collecting 400 bikes. 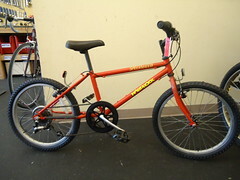 From a Portland Wheelman to an REI employee, bikes were donated from all over our extended network and community. Over 130 people contributed to the success of this campaign. Thank you again to everyone who supported this campaign in July, and to those of you that have donated bicycles over the years. When you donate a bike to the Community Cycling Center, we put it to good use in our community programs for low-income families or in our bike shop. 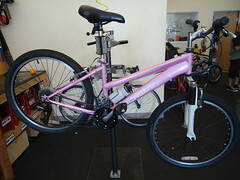 The proceeds from the sale of our new and used parts, bicycles, and professional repair services in our shop benefit our programs for youth and adults. Our bike shop serves as a donation station year-round, so spread the word to your friends and family who are looking to donate bicycles to a great cause.